Looks like the year 2019 will be the year of Samsung as the company celebrates the 10th anniversary of its popular S series phones. 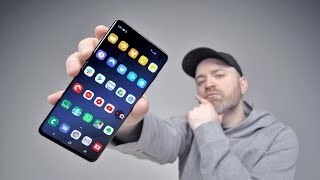 While the South Korean company failed to keep most of the surprising features hidden, there is still a lot to talk about now that the phone has been officially unveiled. 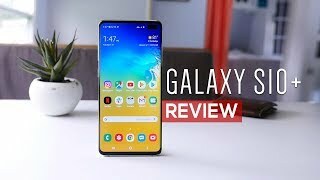 To learn more about the phone and the Samsung Galaxy S10 Dubai price, continue reading. We have always loved the display of Samsung Galaxy S series phones and the latest one comes with an even better Infinity O display, a 6.1-inch AMOLED screen showing 3040 x 1440 pixels resolution, 19:9 aspect ratio and 550ppi of pixel density. Samsung didn’t follow Apple’s notch trend and this time, the company went for a front camera cutout off which has been placed on the upper right side of the display. This new display combined with HDR10 and Corning Gorilla Glass 6 makes it a really vivid and attractive display to look at. While there is no major visible change to look forward to, there are some slight changes on the back of the phone as the fingerprint sensor has been placed under the display and now there are three cameras on the back. It’s IP68 rated for dust and water resistance and the screen to body ratio is also quite impressive at 88.3%. 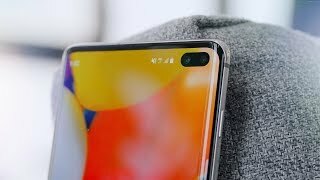 Right after the Samsung Galaxy S10 release date UAE, users can find this phone in not 2-3 colors but 6 different colors: Canary Yellow, Prism White, Flamingo Pink, Prism Green, Prism Black and Prism Blue. It’s not just the display of the phone that’s impressive as the triple rear camera setting has also something new to offer. The wide 26mm sensor and 52mm telephoto sensor is still there but we get a new 12mm ultrawide sensor which was only a feature of the LG V40 ThinQ and Huawei Mate 20 Pro. We get a 12-megapixel wide camera with f/1.5-2.4 aperture, one 12-megapixel 52mm telephoto camera with f/2.4 aperture and the new 16-megapixel 12mm ultrawide camera with f/2.2 aperture. Users can get a whole lot more in a single shot thanks to this new ultrawide camera. Some new software features like blurring the background in a portrait shot or changing the lighting has been included. As for the front camera, it’s a 10-megapixel one with f/1.9 aperture. We will be able to find out more after the Samsung Galaxy S10 release date UAE is here. 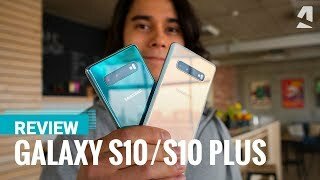 The Samsung Galaxy S10 is quite expensive compared to the Samsung Galaxy S9 and S9 Plus phones. It will be available soon sometimes around March 8, 2019. The starting Samsung Galaxy S10 Dubai price is AED 3300 which is about AED 700 more than the S9 price. Samsung has unveiled four new phones including the Samsung Fold which you can also check out. Samsung’s Galaxy S series is about to turn 10 soon and the company is all set to unveil the Samsung Galaxy S10. 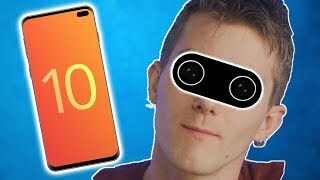 It looks like the phone companies are not even trying to prevent the leaks anymore as we have already learned quite a lot about this upcoming phone way before its official release. 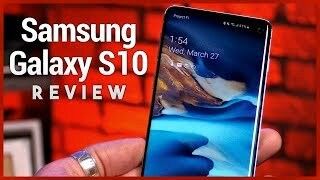 To find out what we have learned so far and the Samsung Galaxy S10 Dubai price, keep reading. While most of the phones nowadays are showing up with a notch on the display, Samsung managed to avoid this notch from the very beginning. This time, the South Korean company decided to go for punch-hole camera on the front side to avoid bezels. 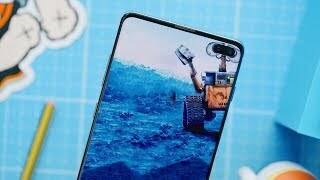 The screen-to-body ratio will be even higher this time but we will have to wait for the Samsung Galaxy S10 release date UAE to find out more about this. As there will be three different versions of Galaxy S phones this time, the standard S10 will show up with a 6.1-inch screen showing 2960 x 1440 pixels resolution, 18.5:9 aspect ratio and 540ppi of pixel density. It will be protected by Corning Gorilla Glass 6 and this display will be hiding a fingerprint sensor as well. Users will still get the IP68 rating for dust and water resistance just like last year’s Samsung Galaxy S9 and S9 Plus. Moreover, the 3.5mm headphone jack will be there as well. No major change is expected on the back side but it is expected that the color options this year will be quite attractive and will include Blue, Black, Red, Yellow and Green. From what we have learned so far, there will be three cameras on the back. One will be a wide angle 12-megapixel 26mm sensor with f/1.5-2.4aperture, one telephoto 12-megapixel 52mm sensor with f/2.4 aperture and an unannounced one which was not a part of last year’s Samsung Galaxy Note 9 or the S series. The Huawei Mate 20 Pro and Google Pixel 3’s camera managed to surprise people last year with some great features so Samsung will have to show up with something better than last year to stay ahead in the competition including a better Night shot mode. As for the front camera, it’s rumored to be the same one we got last year: an 8-megapixel camera with f/1.7 aperture. It’s too early to say how it will compete with the current phones so we will have to wait for the Samsung Galaxy S10 release date UAE. It’s no secret that most of the phone companies are increasing the price of its flagship phones. Last year, we saw most of the phone companies offering its flagship phones at around $1000. While the Galaxy S10 won’t be as expensive, the official Samsung Galaxy S10 Dubai price is rumored to be around AED 3300 . As for the Samsung Galaxy S10 release date UAE, it will be announced on an event in February 20, 2019.